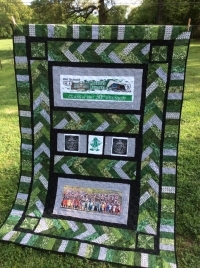 FOR EVERY $5.00 DONATION AN ENTRY WILL BE PLACED FOR OPPORTUNITY TO WIN THIS QUILT. Donations will be distributed to the Ronnie Bennett Scholarship Fund and The Time Capsule Preservation fund. 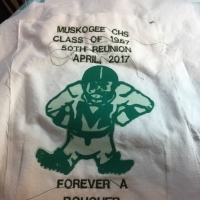 Here is the signature (label) on the back of the quilt. I elect to pay the credit card processing and transaction fees, so 100% of my donation will go to the cause. for this transaction from MyEvent.com*muskogeerough. For any information click here to contact the event organizer. 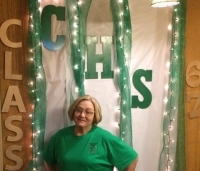 "In memory of my sister, Jean Leake and the Class of '67." "We had such a marvelous time this weekend!!" 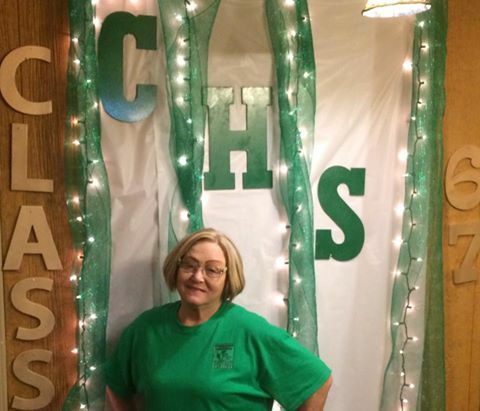 "What a fun weekend! Thanks to all who worked so hard to make it happen!" 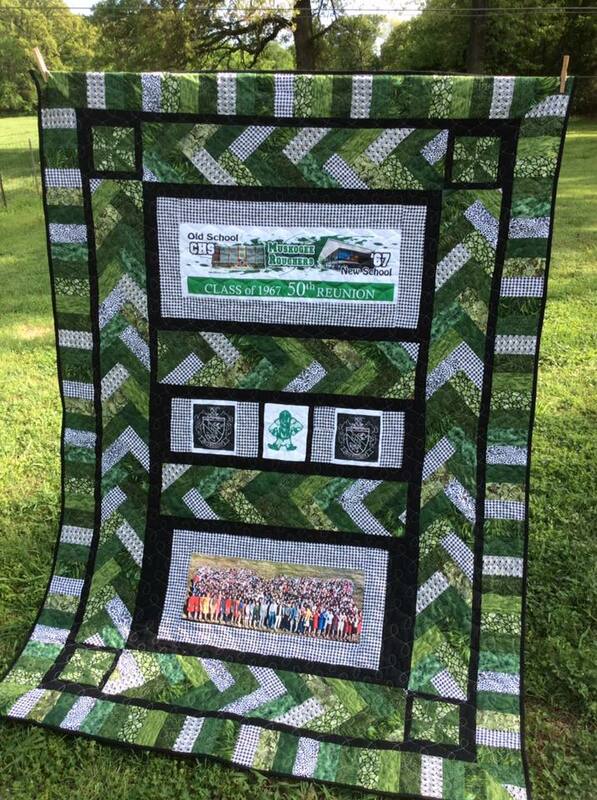 ""HAPPY REUNION"....Wonderful Scholarship Fund in memory of an amazing guy....Sweet memories and new ones being made......beautiful quilt, exquisitely designed and created!!! It will be a treasure forever for someone!" "Beautiful memory of a great year!"